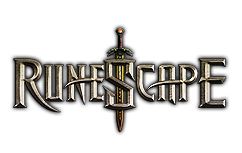 Jagex has announced that it will release a brand new trading card game from the Runescape world. Called "Chronicle: RuneScape Legends", the multi-platform title is anticipated to be sold between 2015. Chronicle: RuneScape Legends made its public debut at RuneFest, which occurred on Saturday 11th October at London's Tobacco Dock. RuneScape gold. James Sweatman, lead designer of Chronicle: RuneScape Legends, hosted the unveiling in the game at RuneFest, and afterwards commented: "We've been quietly developing Chronicle: RuneScape Legends because start of year to ensure that it is not only a great and compelling player experience, but one still greatly interwoven in to the rich lore of RuneScape. We're looking forward to sharing more information on the game on the coming months, especially in regards to Chronicle's debut on tablet and mobile!"